Batch #1 Old Fashioned Mix is the first in our line of retail flavors and features scorched demerara, Tahitian vanilla, wormwood, cassia bark, quinine, gentian and other herbs. 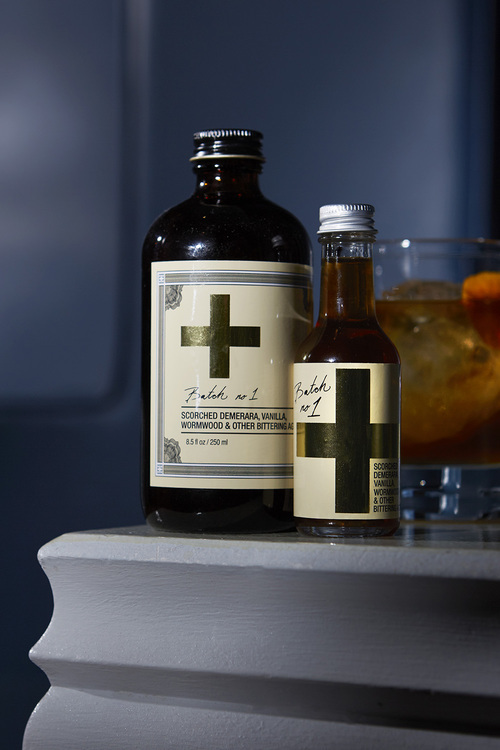 It is all natural and takes the place of the sugar and bitters in an old fashioned, so just add any spirit for a stirred cocktail. Or add juice and muddled berries, for a shaken drink! Or mix it with your tea and keep the booze on the side. The possibilities are endless! Batch #2 features Ginger, Pastoral Honey and Black Tea. Although not currently available, look for it in 2019 with many more flavors to come. Also slated to hit your home bar soon, are bitters kits, punch mixes and other blends! Where can I buy this delicious product? Foxtrot, Binnys and Amazon also carry bottles! And if traveling through Ohare airport, stop by Publican Tavern in Terminal 1. Click an image below to be connected to our Instagram, and please tag us with your recipe or send it to us through direct message!